Dr. Maria Maisto is president of New Faculty Majority and executive director of the New Faculty Majority Foundation. Among the hundreds of thousands of non-tenure track college professors in American higher education, many contingent faculty members endure job conditions whose low pay and lack of employment benefits relegate these highly educated professionals to the ranks of the working poor, says a new report issued by the Democratic staff of the U.S. House Education and the Workforce Committee. The trend towards declining working conditions and stability for contingent faculty “should be of concern to policymakers both because of what it means for the living standards and work lives of those individuals we expect to educate the next generation of scientists, entrepreneurs, and other highly skilled workers, and what it may mean for the quality of higher education,” the report notes. U.S. Rep. George Miller, D-Ca., the ranking minority on the House Committee on Education and the Workforce, has said that he expects that in the coming months, committee members, colleges, and adjunct faculty members will collaborate to develop solutions that address problems contingent faculty confront. 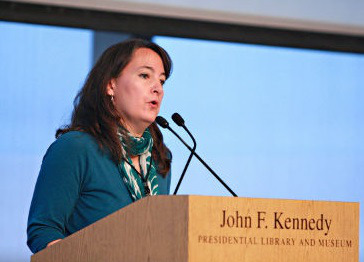 This past November, Miller sought the eForum’s establishment to have contingent faculty and instructors from across the nation comment on working conditions, their ability to have a fruitful career and on how their working conditions may affect students and student attainment of educational goals. “The number of part-time contingent faculty at institutions of higher education has been rising rapidly, with more than one million people now working as adjunct faculty, providing a cheap source of labor even while tuition is skyrocketing,” Miller said in a statement. In 1969, an estimated 18.5 percent of college professors worked as part-time faculty members. The U.S. Education Department has reported that by 2011, contingent faculty (including part-time or adjunct faculty members, full-time non-tenure-track faculty members or graduate student assistants) in degree granting two- and four-year higher education institutions had jumped to, or 75.5 percent of the college teaching workforce, or more than 1.3 million people, according to the report. “These are people who have played by the rules and found employment in a highly skilled, in-demand field, but are being put under extreme stress — with some even living in or on the edge of poverty. The stories from this eForum have provided us with valuable insight into the world of contingent faculty and raised a number of issues that deserve further scrutiny,” he added. Dr. John W. Curtis, the American Association of University Professors (AAUP) research and public policy director, said that while organizations, such as the AAUP, have been working as advocates for contingent faculty “for decades,” it’s gratifying to have the U.S. Congress taking notice of the problems facing part-time faculty members. “I think it’s really important to have added visibility of the report coming out from the congressional committee … [the issues are] something, I think, that have really been getting a lot of attention in the last couple of years,” he said. On the day the Just-In-Time Professor report was released, the New Faculty Majority organization held a Capitol Hill briefing for congressional staffers on “Higher Education Adjunct Faculty Working Conditions and the Legislative Agenda.” Curtis and representatives from the USC Rossier School of Higher Education, the Delphi Project on the Changing Faculty and Student Success, the Coalition on the Academic Workforce, and the New Faculty Majority Foundation participated in the briefing. Dr. Maria Maisto, president of the New Faculty Majority organization and executive director of the New Faculty Majority Foundation, said her organizations, which represent the interests of contingent faculty, were among the groups consulted as Democratic staff of the House Education and the Workforce Committee conducted report research. “We thought the research was comprehensive. It corroborated much of what we had found” in the NFM’s work on contingent faculty,” she said. Maisto noted that congressional interest is growing more and more bipartisan. Contingent faculty advocates are now having discussions with House Education and the Workforce Committee staff members about the possibility of seeking solutions in legislation, such as in the forthcoming renewal of the Higher Education Act.